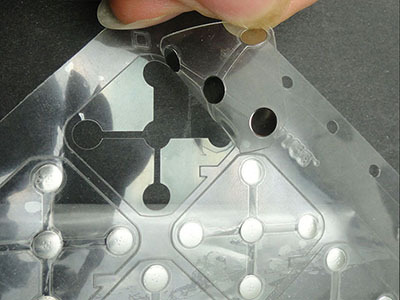 ← How to Choose Metal Domes for Your Electronic Products? Single layer adhesive tape just have one layer of PET which is silica gel, PPA or LCP plastic material. The thing we need to do is that peeling off the plastic material and pressing the adhesive tape with metal dome on it, then it can be firmly pasted on PCB. 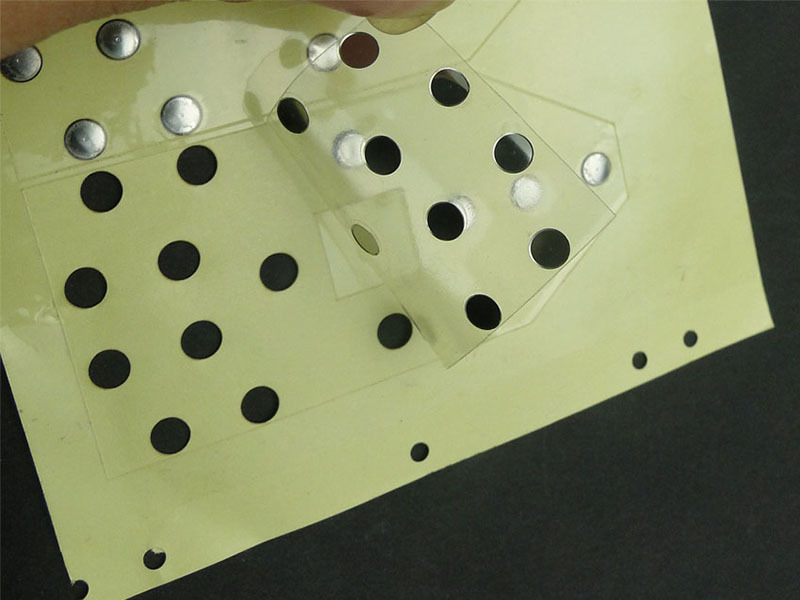 After that, we have finished the whole procedure of assembling adhesive tape of metal dome. Tips: It is required to peel off the plastic material which aims at protecting the adhesive tape during transportation or storage. Double layer adhesive tape is different from the single one. Compared with the single layer adhesive tape, it has an extra layer of spacer which can stop the PET from the dust. 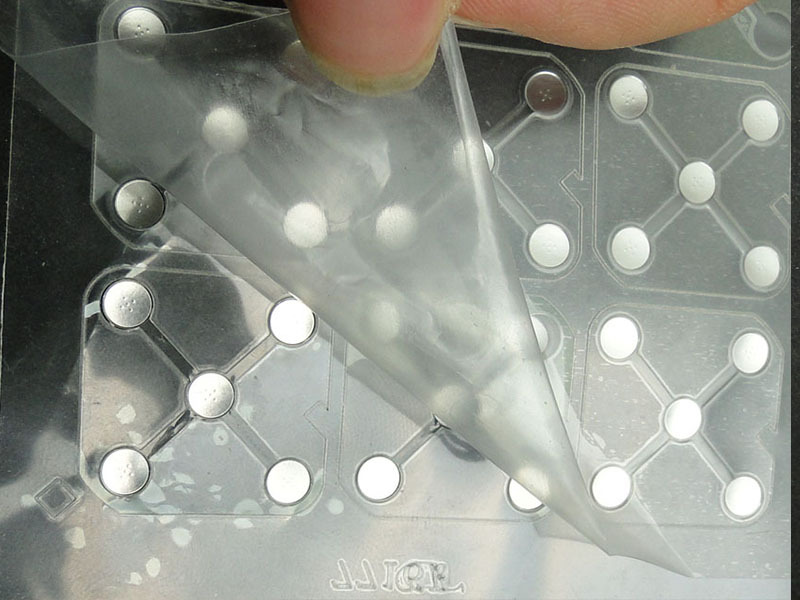 Meanwhile, the spacer can also improve the feeling of operation and avoid our hands are hurted by metal domes when assemble too quickly. 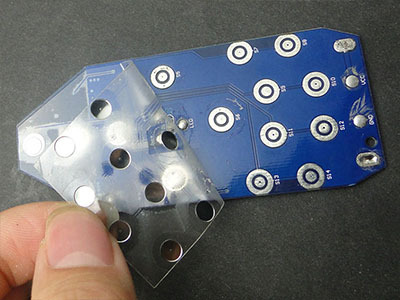 Tips: The plastic tissue on the back side should be abandoned and then tear off the adhesive tape on the front side to paste it on the printed circuit board. 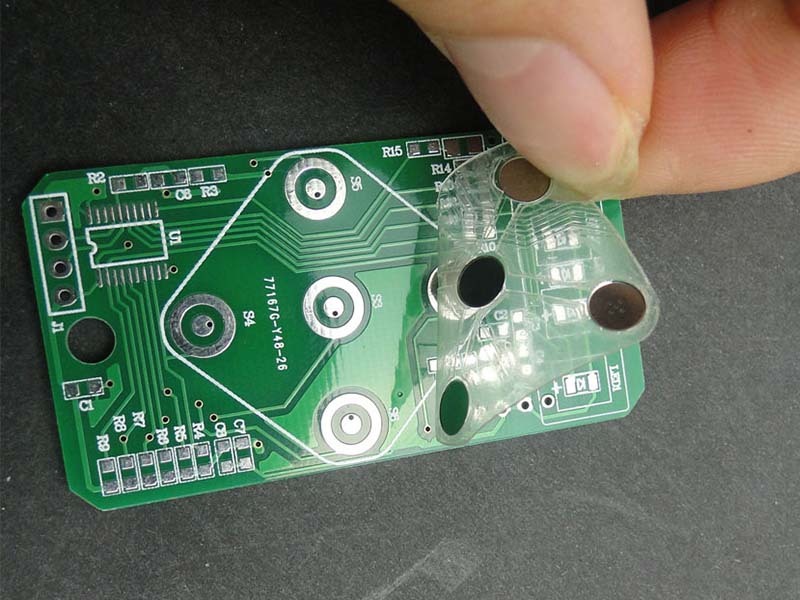 However, please keep an eye on the alignment of metal domes with the conductive parts during pasting. The metal domes must be pasted above the conductive part of the printed circuit board and no deviation. The adhesive tape can not be pasted several times. Be careful when assemble and not be hurted by the metal domes. This entry was posted in Inside News, Metal Dome Assembly, metal dome related, Metal Domes and tagged adhesive tape, assembly, metal dome, metal dome assemble. Bookmark the permalink.